Katie Meyer instructed a SoulCore class at St. Catherine Laboure Parish in Sappington on July 26. Meyer has led sessions of the nationwide Catholic exercise and spirituality program since last year. Terry Trafton stretched during a SoulCore class at St. Catherine Laboure on Aug. 27. SoulCore is a Catholic program that combines prayer with exercise. When Susanne Rosenthal first heard of SoulCore, it seemed like an answer to a long-felt calling. “It’s a beautiful way to exercise, it’s a beautiful way to say the Rosary,” she said. SoulCore sessions last around an hour, throughout which an instructor leads the group in prayer, exercise and reflection. Meditations on the mysteries and Scripture accompany the prayer along with soft instrumental music and candlelight. Meyer began conducting classes last winter, having led a regular parish Rosary every week for some time prior. She is most familiar with pilates, so her courses tend to mirror that exercise style. Her classes at St. Catherine Laboure include a $10 suggested donation, given to St. Lazare House, a homeless shelter for young adults. Participants in the courses speak of benefits both spiritual and physical. “I get too restless when I pray, so this is a good way to use my body as I’m doing something,” said Annie Meyer, Katie’s daughter, who attended her mother’s session on July 26. “I felt like this was a good channel to be thinking about something productive and praying” compared to other mentally focused exercises, said Lexi Knott, who was attending the same session. The July 26 class was a first for both Knott and Annie Meyer. One participant, Mary Lee Burlemann, described powerful experiences of prayer and of physical recovery: She began attending Katie Meyer’s classes regularly in January, having undergone a hip replacement surgery only two months prior. 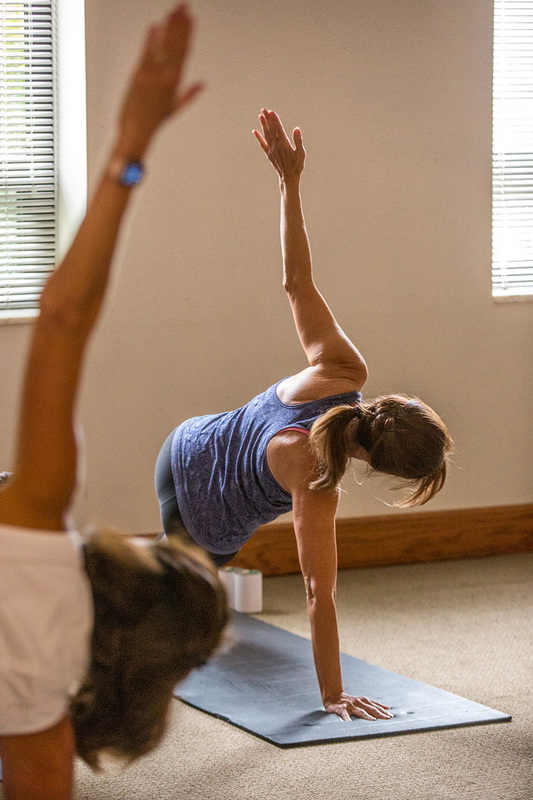 Gina Koenemann, an instructor in the St. Charles County area and physical therapist, also highlighted the connection between exercise and spirituality. Classes are open to beginners and do not target any particular ability level. “Respect your body,” Katie Meyer put it. Christine Hillenbrand, a parishioner at Ascension Parish in Chesterfield, prayed during a SoulCore class at St. Catherine Laboure Parish in Sappington. SoulCore is a Catholic program that combines prayer with exercise. Although it is not necessary to be formally trained as an exercise instructor to lead classes, Hillenbrand has an edge as she did her undergraduate in exercise science at Truman State University in Kirksville. Her classes focus on functional movement and building major muscle groups. 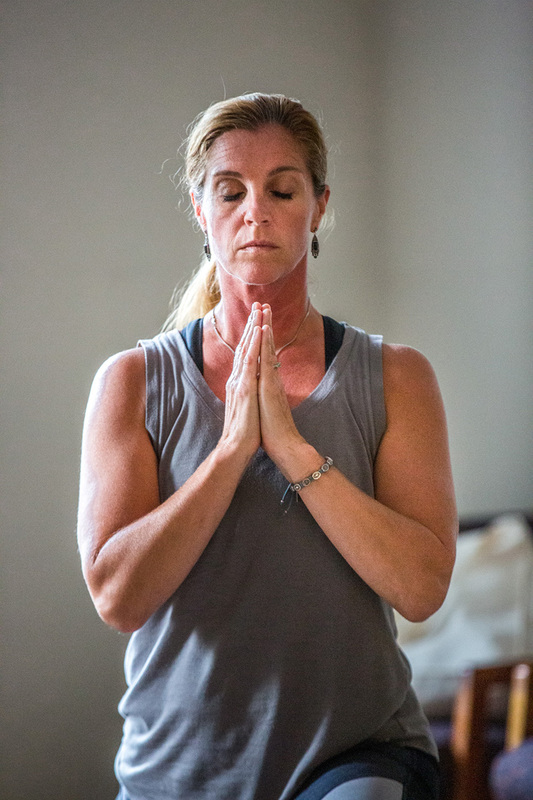 She emphasizes the connection between physical movement and prayer that SoulCore offers. Classes currently or soon to be offered in the area are listed below, organized by instructor. Instructors may also be contacted if there is interest in starting a new group, pending availability. Contact Christine at soulcorestlouis@gmail.com for more information. St. Francis of Assisi Parish in Oakville, third Saturday of the month at 8:45 a.m. (bottom floor of the rectory). This is a chair class, and will continue pending interest. Contact Susanne at susannerosenthal@sbcglobal.net for more information. Contact Katie at khmeyer6@icloud.com for more information. Gina recently completed SoulCore training and is currently working to establish class times in the St. Charles area. She may be reached at gina.soulcore@yahoo.com to be put on a mailing list for when classes start or to discuss starting a new group. Note: Some of these class times differ from the SoulCore website, which is not current.